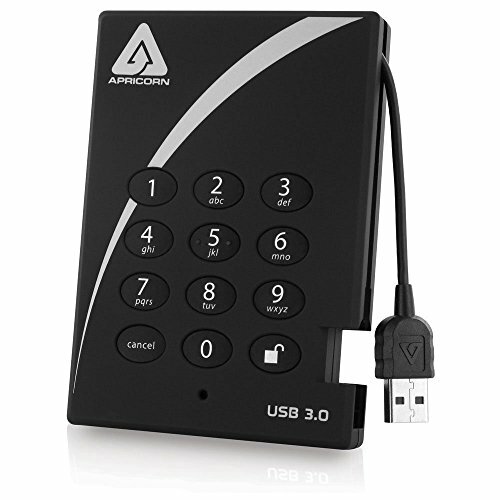 Apricorn's Aegis Padlock 3.0 is a state of the art hardware encrypted USB 3.0 portable drive. Simple and easy to use, Padlock 3.0 offers unparalleled security and supports AES XTS 256-bit encryption. Additionally, the software free design means it can be deployed without the need for Admin User rights and will work with any USB enable operating system. Completely cross compatible, the Padlock 3.0 is authenticated via the integrated keypad and can support up to 5 User PINs and an Admin PIN. 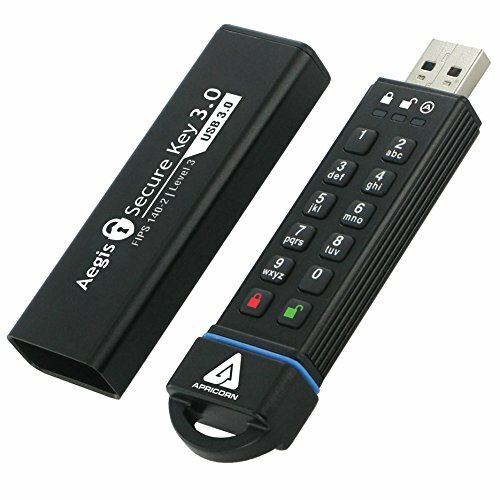 The Aegis Padlock 3.0 ships with Padlock 3.0 drive with integrated USB 3.0 cable, USB 3.0 Y-extension cable, Quick Start Manual and is pre-formatted in NTFS. 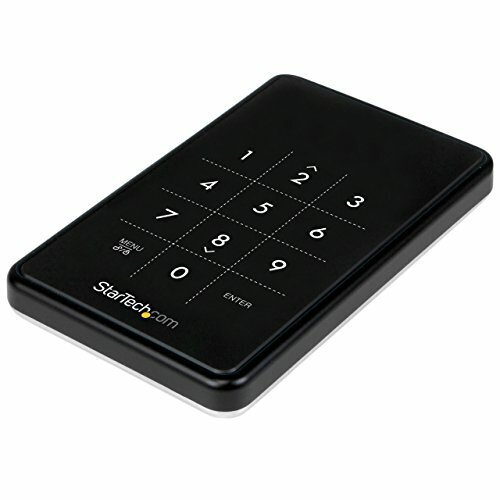 Turn a 6 Gbps HDD or SSD into secure external storage with touchpad password entry - The S2510BU33PW USB 3.0 encrypted hard drive enclosure lets you to turn your 2.5-inch SATA hard drive (HDD) or solid state drive (SSD) into an AES-encrypted external drive. 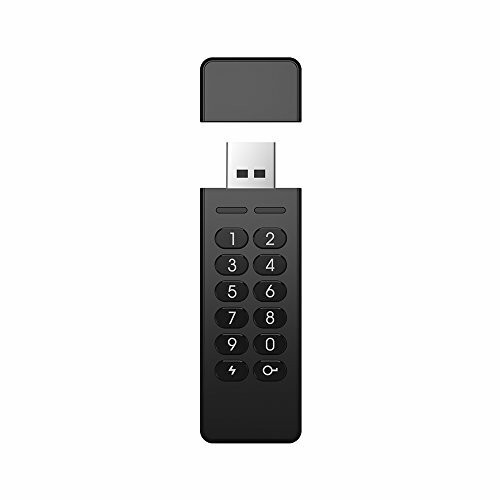 To ensure all of the data on your drive is protected from unauthorized access, the secure enclosure uses an Advanced Encryption Standard Algorithm (256-bit AES). Once your encryption is set, access to the content is only authorized through a customized PIN that you set and enter using the sleek built-in touchpad. The encryption is hardware based, eliminating the hassle of complicated software installation and configuration. The hard drive enclosure ensures maximum performance, with support for USB 3.0 transfer speeds up to 5 Gbps. The enclosure also supports SATA III drives, ensuring you can still achieve high performance while accessing your SATA 6 Gbps SSD externally. The S2510BU33PW is backed by a StarTech.com 2-year warranty and free lifetime technical support. We've taken data security to the next level with the Store 'n' Go Secure Pro USB drive. 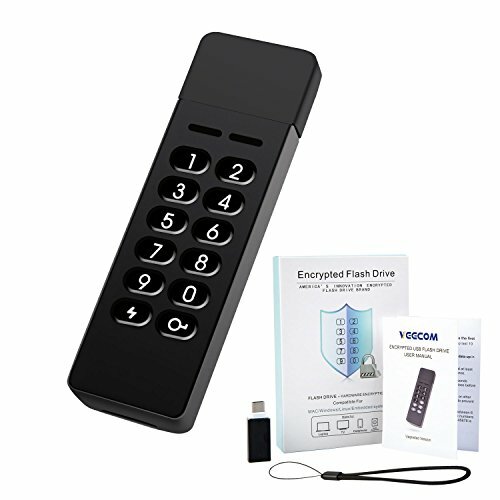 Once configured with your password, all data stored on a Secure Pro USB drive is encrypted with powerful hardware-based 256-bit AES encryption to prevent unauthorized access. 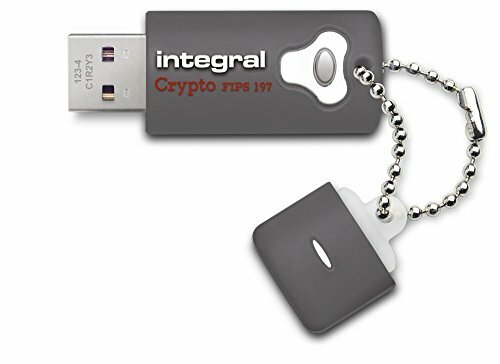 The encrypted data is password protected, and additional anti-tampering features help safeguard your data from brute force attacks or password hacking attempts. Even if your device is stolen, the Store 'n' Go Secure Pro's features will keep your data safe and secure. 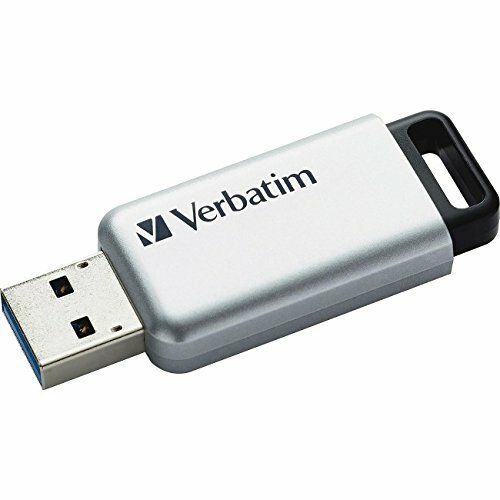 With USB 3.0 connectivity, for faster transfer speeds, the Store 'n' Go Secure Pro is ideal for securing business data, legal documents, personal health information and other forms of sensitive data on the go. For optimal performance, use with a USB 3.0 host system. 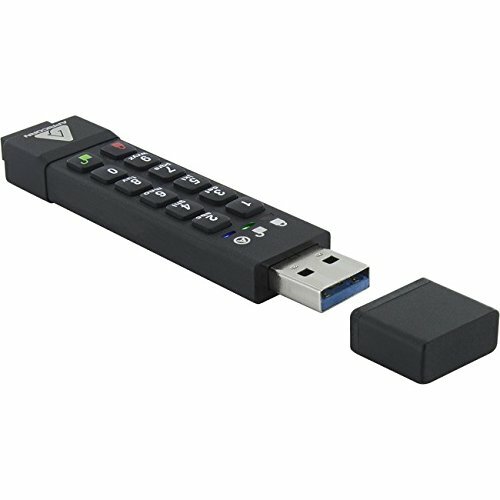 Device is also compatible with USB 2.0 ports. 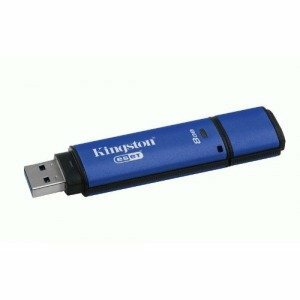 Compare prices on Aes Encrypted Usb at Shopsimal.com – use promo codes and coupons for best offers and deals. We work hard to get you amazing deals and collect all avail hot offers online and represent it in one place for the customers. Now our visitors can leverage benefits of big brands and heavy discounts available for that day and for famous brands.